Incised wounds of the neck can be accidental, homicidal, or suicidal. Accidental wounds are extremely rare, usually seen only when an individual goes through a sheet of glass or is struck in the neck by a flying fragment of glass or some other sharp-edged projectile. Thus, in one case, a 13-year-old male was struck by flying glass when a bottle containing dry ice exploded. The fragment of glass severed his left jugular vein, causing exsanguination. 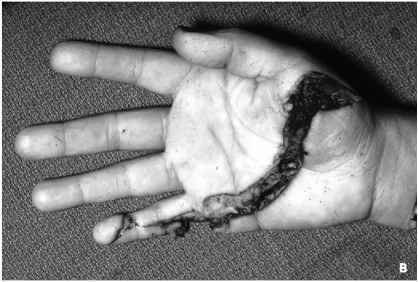 Figure 7.24 Demonstration of (A) self-inflicted incised wound of flexor surface of wrist (B) self-inflicted incised wound of radial aspect of forearm (continued). 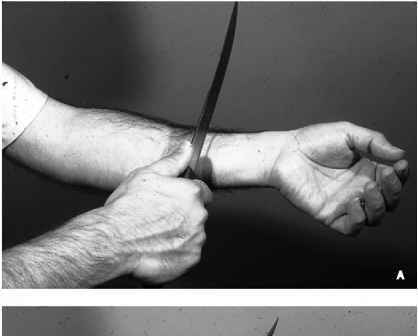 Figure 7.24 (Continued ) Demonstration of (C) defense wound of back of forearm, (D) defense wound of ulnar aspect of forearm. 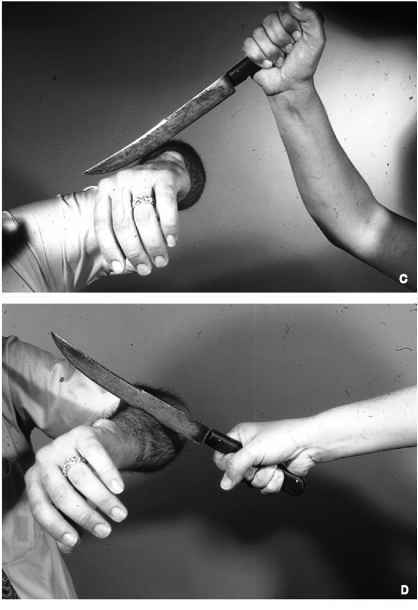 Figure 7.25 (A and B) Defense wound of palm of hand incurred in attempt to grasp knife. opposite to the hand he is using. 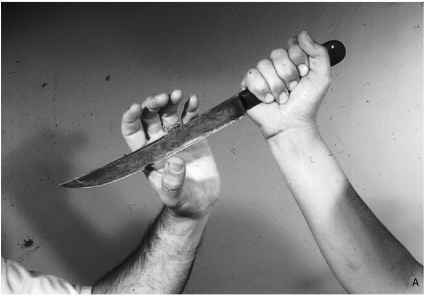 The knife is drawn across the neck, from left to right by a right-handed assailant and from right to left by a left-handed individual. The wound inflicted is first shallow, then deeper and then shallow again, terminating on the opposite side of the neck. The wound generally starts below the ear; runs downward and medially at an angle, then straight across the midline of the neck, and then upward, ending on the opposite side of the neck, lower than its point of initiation (Figure 7.26). Figure 7.26 Homicidal incised wound of neck inflicted from back beginning below left ear (A) running downward and medially across the midline of the neck and upward on the opposite side of the neck, ending lower than its point of initiation (B). 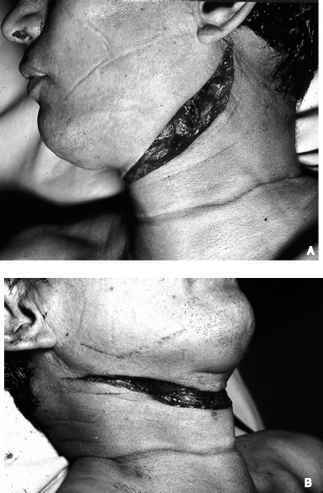 Homicidal incised wounds of the neck inflicted from the front tend to be short and angled (Figure 7.27). 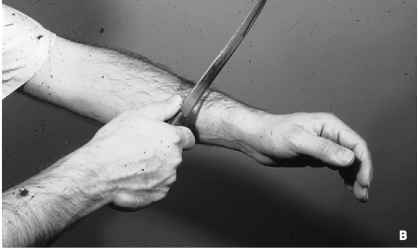 A right-handed individual typically inflicts incised wounds on the left side of the victim's neck, with the slashes running downward and medially at an oblique angle. 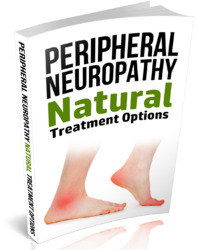 If the wounds are inflicted on the right side, they tend to be fewer in number. Wounds across the front of the neck tend to be horizontal and short, extending a short distance to the right or left of the midline. Horizontally incised wounds inflicted from the front of the neck are the least common. The characteristics of the wounds produced by a frontal attack are obvious with an understanding of the etiology. Instead of the neck's being cut with one long, continuous motion, these wounds are inflicted by "swipes" or slashes made while facing the individual. In self-inflicted wounds of the neck, the same general pattern holds as for a homicidal assault from the rear. The wound usually begins higher on the neck on the side opposite to where it terminates. 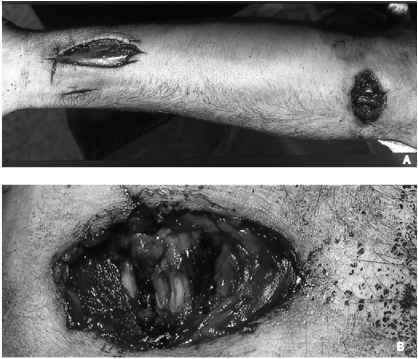 Suicidal incised wounds of the neck are usually, but not always, accompanied by hesitation marks (Figure 7.28). In rare instances, a fatal self-inflicted incised wound of the neck may be accompanied by cadaveric spasm (instantaneous rigor mortis) with the knife or razor found firmly clenched in the victim's hand — unequivocal proof of suicide. In some suicides, the weapon might not be present at the scene. Another person may have altered the scene, or, if the initial wound was not immediately incapacitating, the suicide victim was allowed time to conceal the weapon prior to death. Incised wounds of the neck may be extremely deep and extend completely to the vertebral column. This is most common in homicidal wounds inflicted from the rear. Death from incised wounds of the neck may be due not only to exsan-guination, but to massive air embolus. An X-ray of the chest for the detection of air in the venous system and heart is recommended. Subsequently, the heart should be examined for air emboli. The length of time it takes to die following an incised wound of the neck depends on whether the venous or arterial systems are severed and whether there is air embolism. What is an incised wound of the neck? How long to die from self inflicted incised neck wound?